Ivalee Sinclair, photographed at her home in Manoa, will receive a lifetime achievement award Thursday from Mental Health of America Hawaii. Fortunately for thousands of Hawaii families with special needs children, Ivalee Sinclair's thoughts of a medical career didn't pan out. She will receive a lifetime achievement award Thursday from Mental Health America of Hawaii for her tireless efforts over 40 years to ensure that children with learning disabilities receive the services they need. The dynamic woman will be 80 on June 1 and has macular degeneration in both eyes, but isn't slowing down. She's the Department of Education's part-time family specialist, a title created for her, and chairwoman of the special education advisory committee, among many other activities. She facilitates training of parents and professionals, and works with the Legislature and the 17 Children's Community Councils created under the Felix consent decree for feedback on what works and what doesn't in the system. She also participates in quality-assurance activities to identify system barriers and problems. The Felix decree stemmed from a 1993 lawsuit over special education in the Hawaii public schools. Sinclair is looking forward to public hearings on new state regulations she helped to draft to implement the federal Individual Disabilities Education Act of 2004 and subsequent regulations. "They are going to be a tremendous benefit to everyone," she said. 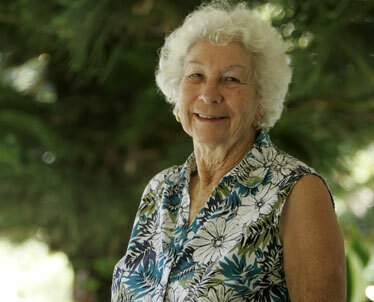 The Kansas-born woman came to Hawaii in 1945 on the first ship with civilians after the war. Her father was head of immigration here during the war, she said. She met her late husband, David, in a premed class at the University of Hawaii. They left in 1947 for the University of California-Berkeley and returned to Hawaii in 1960. He became an obstetrician/gynecologist, but she said she chose not to finish medical school because she wanted to concentrate on being a good parent. The couple had six children -- five born in California -- and a hanai daughter. They have 12 grandchildren and four great-grandchildren. One of her children inspired her passion to overhaul the way Hawaii treated special needs children. Her son, now a successful business owner with 120 employees, had trouble writing, reading and doing math in the early grades, she said. "At the time he was in school, nobody knew what this was." A federal law defining characteristics and traits of children with learning disabilities passed in 1968, she said. "I read an article and thought, 'That's my son.'" He was then in the seventh grade and there was no program for children like him in the public schools so she placed him in the Honolulu Junior Academy, now Academy of the Pacific, she said. She led a parents group to raise funds for the small school, then chaired its board, and enlisted people from UH to help the teachers learn to work with the kids. In 1972, she became executive assistant to the board for the Hawaii Association of Children with Learning Disabilities and was directed to rebuild it. It enabled her to conduct workshops and try to get the DOE to create programs for children with learning disabilities, she said. Many were in private facilities or "in the closet," even though Hawaii in 1949 was one of the first places in the country to pass a law requiring special education services for children who learn differently, Sinclair said. She worked with parents, the DOE and Legislature to get a special education summer school established in 1976. "That was the beginning recognition that you had to serve these children." She was deeply involved as new federal laws and regulations were adopted and lawsuits filed in Hawaii on behalf of special needs children. She and the late Barrett McCandless, former executive director of ASSETS School, were sued by the DOE in 1980 for a letter they wrote in 1978 telling parents of their rights to keep their children's records confidential. "The judge ruled we were correct," she said. Sinclair represented parents in more than 60 due-process hearings in 1978-79 and prevailed in 10 out of 11 cases appealed to federal court and the 9th Circuit. That made it a lot easier for her to get services for kids, she said. The DOE hired her in 1995 to help write the implementation plan for the Felix consent decree mandating educational services needed by children with learning disabilities. "I think we still have lots of things to work on, but tremendous numbers of children are being served now," she said. Besides walking and gardening in her little spare time, Sinclair is writing a book with a Hawaiian artist on the Islands' colorful pa u riders. She also is compiling pictures and stories of both sides of her family back to the 1800s for a DVD and journals.